Brooks Donohue Simpson (born 4 August 1957) is an American historian, and an ASU Foundation Professor of History at Arizona State University, best known for his writings about the American Civil War. 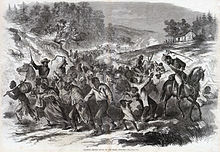 The Army of Northern Virginia was under orders to capture and send south supposed escaped slaves during that army's invasion of Pennsylvania in 1863. The Lee myth. Lee being above slavery, Lee being in fact anti-slavery, is essential to the neo-Confederate argument that it's not about race, it's not about slavery. They've done a very good job of covering up Robert E. Lee's actual positions on this. In pre-war correspondence, Lee castigated the abolitionists for their political activity, and he never showed any qualms about the social order that he would later defend with arms. He also had a few slaves that he inherited as part of a will agreement, with provisions to emancipate those slaves. But in fact, he dragged his heels in complying with the terms of that will. And he never gave a second thought to the fact that his beloved Arlington mansion was run by slave labor. 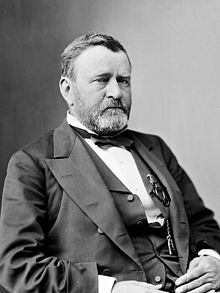 Douglas would repeat what Lincoln said about racial equality at Charleston in debates to come, usually in support of his claim that Lincoln varied his remarks according to location. There was some truth to this, but far less truth to the ensuing charge of inconsistency. Douglas knew better, and by the time of the final debate, he had heard Lincoln’s explanation enough times. He simply chose not to accept it. He knew that when it came to Illinois voters, shifting the issue from slavery to race tilted the scales in his favor. White southerners saw Lincoln as anti-slavery and his election as a direct threat to the survival of the peculiar institution. Are you going to tell me that they were stupid or deluded? Is that any way for white southerners to honor their ancestors, by ridiculing their intelligence? Indeed, Stephen Douglas' decision to accuse Lincoln of embracing racial equality tells us that playing the race, or racism, card in the 1850s was alive and well, because Douglas believed that he would gain political traction among racist Illinois voters, who were white, after all, by associating Lincoln with the cause of black equality. Lincoln's response was thus also an issue of political survival. So was his decision not to publicize his support for limited black suffrage in Louisiana in 1864. He advanced the idea in a private letter, but waited thirteen months until he made his sentiment public, and three days after he made that sentiment public, he fell victim to an assassin's bullet because that assassin could not bear the thought of black equality. Lincoln knew he lived in a racist America, North and South. I think it's time for all this discussion about the proper display of the Confederate flag, which in some quarters appears to obscure the enormity of the massacre at Charleston, to get to the heart of the matter. You tell me. Should the Confederate battle flag, including its versions as the Army of Northern Virginia flag, the Army of Tennessee flag, and the Confederate navy jack, be flown outside, period? Do you favor the removal of the Confederate flag flying on the grounds of the South Carolina State House? Why? If you believe that the flying of the Confederate battle flag on the grounds of the South Carolina State House should cease, are there any conditions when a Confederate battle flag should appear outside? Should the Confederate battle flag be banned from public display elsewhere? T-shirts, bumper stickers, headgear? Are your restrictions limited to the Confederate battle flag alone, or do they extend to other flags flown by the Confederacy, such as the trio of national flags? I've watched and read the public reaction to the slaughter of nine people, nine African American people by a white supremacist gunman who warrants the description of a terrorist. As I read that commentary, I wonder how people would react if the gunman was a black male and the victims were white. Make no mistake about it; such a terrorist act is the logical if extreme outcome of white supremacy and intolerance. Apparently, reasons this particular white supremacist gunman, "If you can't own them, exploit them, or remove them, you kill them." As one might expect, the gunman’s fondness for Confederate heritage has become a focus of discussion. We’ve had people calling for the banning of Confederate flags as symbols of hate while certain defenders of Confederate heritage, sometimes after offering perfunctory statements of regret, rush to disassociate their cause from this mass murder or to offer other explanations for the gunman’s behavior. That’s to be expected, and it is to be regretted. We’ve had far too much discussion of the Confederate flag, both by people who hate it and people who love it, that trivialize the whole matter by turning it into a screaming match between extremes. Thoughtful commentary flounders in such environments, precisely because both sides will assail it. It's Sunday. If you haven’t already done so, think about the victims and their families and friends. Pray for those who have suffered. And think before you respond. [I]if you think that this whole matter can be reduced to whether we should allow the display of the Confederate flag, you really aren't advancing the discussion very far. It certainly looks like the days of the Confederate battle flag flying on the grounds of the state house in Columbia, South Carolina are numbered. This is in large part due to prominent South Carolina political leaders changing positions under pressure given the recent mass murder in the state. No one can deny that. The arguments concerning the display of that particular flag are neither more nor less valid than before. Nor will the flag’s removal silence white supremacists and Confederate heritage advocates, especially those who have freely associated with white supremacists. Brooks D. Simpson. "The Future of Stone Mountain" (22 July 2015), Crossroads, WordPress. I think Stone Mountain is amusing, but then again I find most representations of Robert E. Lee and Stonewall Jackson outside of Virginia, and, in Jackson's case, West Virginia, to be amusing. Aside from a short period in 1861-62, when Lee was placed in charge of the coastal defense of South Carolina and Georgia, neither general stepped foot in Georgia during the war. Lee cut off furloughs to Georgia's soldiers later in the war because he was convinced that once home they'd never come back. He resisted the dispatch of James Longstreet's two divisions westward to defend northern Georgia, and he had no answer when Sherman operated in the state. It would be better to see Joseph E. Johnston and John Bell Hood on the mountain, although it probably would have been difficult to get those two men to ride together. Maybe Braxton Bragg would have been a better pick, but no one calls him the hero of Chickamauga. Yet Bragg, Johnston, and Hood all attempted to defend Georgia, and they are ignored on Stone Mountain. So is Joe Wheeler, whose cavalry feasted off Georgians in 1864. So is John B. Gordon, wartime hero and postwar Klansman. Given Stone Mountain's history, Klansman Gordon would have been a good choice. It's also amusing to see Jefferson Davis represented. Yes, Davis came to Georgia, once to try to settle disputes within the high command of the Army of Tennessee, not a rousing success, and once to rally white Georgians to the cause once more after the fall of Atlanta. But any serious student of the war knows that Davis spent much of his presidency arguing with Georgia governor Joseph Brown about Georgia's contribution to the Confederate war effort, and that the vice president of the Confederacy, Georgia's own Alexander Hamilton Stephens, was not a big supporter of his superior. Yet we don't see Brown or Stephens on Stone Mountain, either. Need I remind you that Stone Mountain and Birth of a Nation are also exercises in political correctness for their time, as are the inscriptions on the monuments erected by several southern states in honor of the service of their state’s Confederate forces at Gettysburg? Ranting about "political correctness" is best read as "I can't really deal with the merits of your interpretation, so I'll deride it largely because it doesn't reinforce my own preferences and prejudices." The earth belongs to the living, Jefferson once said, and past generations do not have the right to bind future generations to comply with what those past generations chose to remember about the past and how they chose to remember it. This page was last edited on 2 April 2019, at 18:46.